Use 15% off code + get 3 free months w/ 2-yr plan sign-up. Use 15% off code + get a free month w/ 1-yr plan sign-up. Use code at checkout to save 15% on top of any other promotional discounts. Use 15% off code plus get 8% monthly savings with 1-yr plan sign-up. Get 2GB free from Mozy Home and try Mozy Online Backup today. A sad fact of life is that accidents happen. A sad fact of computer life is that hard drives crash. Files, data, photos, and videos that you considered indispensable are now gone forever. However if you had been using Mozy, one of the world's most trusted online backup services for businesses and consumers, they would have all been retrievable. Use a Mozy promo code to save on a membership that will save you from cyber disaster. More than three million customers, including 80,000 businesses, have trusted Mozy to backup their digital lives and livelihoods since its founding in 2005. As computing and the Internet changed, so did Mozy, evolving into a multi-faceted cloud backup provider with cross-platform desktop apps that makes backup nearly effortless, always dependable, and always secure. The company was founded on the idea that users should not have to think about backing up their files. With Mozy, basically get and then forget it. They boast three types of services: MozyHome, for consumers, MozyPro, for small businesses, and MozyEnterprise, for larger organizations. All of these options provide a huge amount of storage for the price, and allow access from multiple computers. 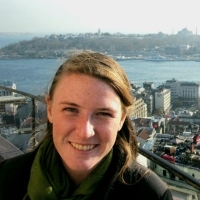 How does Mozy work? They install a local client on your desktop, where you then drag-and-drop files or folders you want to manually backup, and then set schedules for automatic backup. Mozy also features a very handy file syncing feature that enables you to sync your most frequently used files across multiple computers. Any file in this sync folder then stays current and refreshed on every computer or mobile device linked to it. Mozy has been lauded for its clean user interface, extremely effective security measures, and its ability to allow you to keep working and even view movies while backups are in progress. It supports both Mac and Windows operating systems and has a Mozy mobile app for iOS and Android devices. Don’t lose your files! Give yourself one less thing to worry about and one less thing to think about at the same time. Give yourself the benefits of some savings by using a Mozy promo code and get the peace of mind that comes from knowing all that stuff on your computer isn’t going to vanish in some horrible, silicon-based tragedy. There's nothing worse than the feeling when your computer crashes, and you lose all your work, files, photos and music. Thanks to Mozy, you don't ever have to feel that way again, with their home and professional backup services. 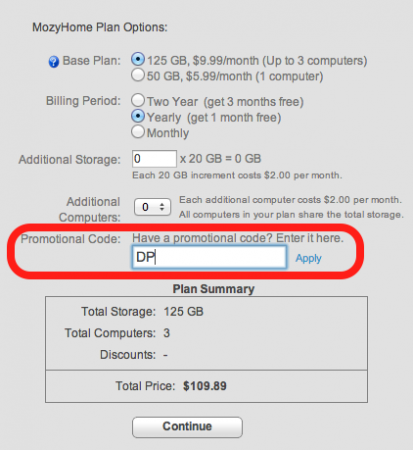 Save your money and your files by using a promo code for Mozy – just follow these instructions. At CouponPal.com, find a Mozy coupon that fits your needs at click "Get Code" or "Get Deal." A new window will pop up, displaying the promo code. 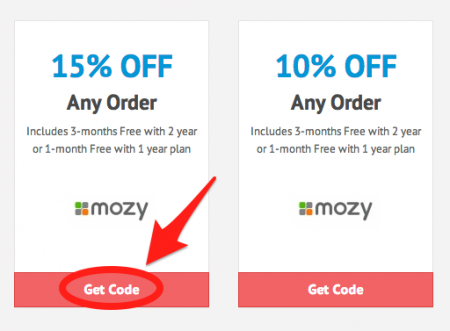 You should highlight and copy the code so that you can use it when you subscribe with Mozy. If no window pops up, that means your Mozy promo doesn't require a code, and your savings will be automatically applied. Mozy offers a variety of backup choices, including personal and business solutions with different memory options. Choose the backup that fits your needs. You'll have to create an account before you can proceed to subscribe. It only takes a few seconds, and it's free. After you sign up, you'll be on a page where you can choose your memory options. At the bottom of the page, you'll see a field labeled "Promotional Code." Enter your Mozy coupon code here before you click "Continue." All you have to do now is enter your billing and payment information, and click "Confirm." Now you'll be backed up by Mozy! Mozy is one of the leading online backup services around. They can provide you with an easy-to-use file synchronization feature and software, so you never have to worry about losing important documents again! 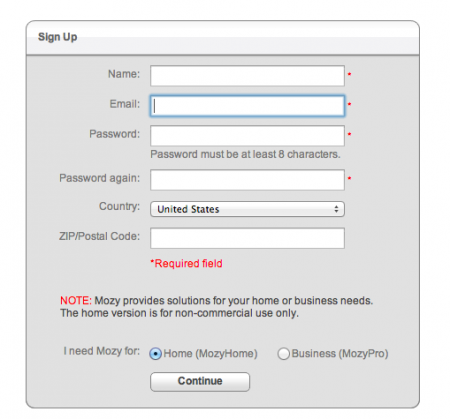 Here are some questions you might come up with while using the Mozy site. Why isn’t my Mozy promo code working? If your Mozy promo code doesn’t appear to be working, you should check to see if there is an expiration date or minimum size order attached to the deal. There are also specific coupons for MozyPro for businesses and MozyHome for personal use. 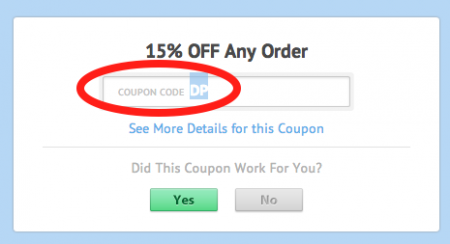 These kinds of restrictions can prevent your promo code from being applied at checkout. You can reach customer service by calling 1-866-789-6699. You can also speak to a representative through Live Chat; just log into your account and follow the directions to start a chat conversation. Does Mozy have mobile apps I can use? Yes, Mozy has mobile apps for iPhones, Androids, and Kindle Fires. What payment methods does Mozy accept? Mozy currently only accepts major credit cards. 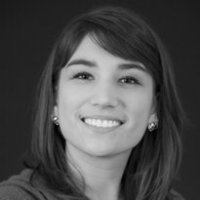 What services are available for free? There are some services from Mozy that are completely free. These include free online storage features like backup software, file sync software, and anywhere access from your mobile devices. Mozy offers 50 GB for $5.99 a month (this means you can hold more than 6 million emails, 7,500 photos, 8,500 music files, and 1,000 videos.) If you sign up for a year, you can get one month free. A two-year plan will get you three months for free. If you need more storage than that, there is also a package of 125 GB for $9.99 a month. 125 GB can hold 15 million emails, 18,750 photos, 21,250 music files, and 2,500 videos. A one-year package will get you one month free, and a two-year plan will get you three months free. If you’ve ever have a hard drive crash, you know how devastating it can be to lose all your files. Mozy makes sure you never go through that agony ever again! Their easy to use systems guarantee you’ll always have access to important documents with online backup options and syncing features. There are so many reasons to use Mozy’s products, but here are just 5 of the things we love. Mozy offers amazing customer service and support for your devices. If you ever run into a problem, you have several different ways to get help, including live chats with a support technician and one-on-one support requests. As a Mozy customer, you also have access to video tutorials, user guides and documentation, and the knowledge base library. You can also interact with other people in the Mozy community who might be able to answer your questions. Remember the old days when you had to rely on your computer to save all your files? Well, now you can count on Mozy’s automatic cloud backup service. They have a super helpful feature that lets you “set and forget” your backups, so you don’t have to remember to take care of it. Plus, the cloud is lined with Tritanium, which means your files are completely secure. If you want to make sure your files and information will be safe from online predators, just turn to Mozy. Their clouds use military-grade security, and all of your files are encrypted before they’re saved. These vital steps mean that you never have to worry about your data being stolen or corrupted. Mozy allows you to sync all of your devices, so you can log into various documents and files regardless of what device you’re using. Your local Mozy Sync Folder lets you access your information on your smartphone, computer, or tablet - basically, wherever you want! You only have to pay for what you need with Mozy, since you can select how many GBs you require in your plan. Customers also get the option of paying monthly, annually, or biennially, so you get the ultimate say over your pricing system. The payment plans are totally reasonable (considering how many benefits you get for the cost!). Don’t forget to use a Mozy promo code for even more savings! Don’t wait until you lose important files - sign up for Mozy services today!